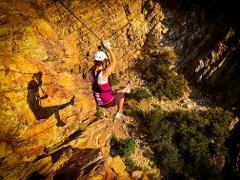 All private climbs are guided, all equipment is provided, and no climbing experience is necessary. Outside climbers will not be added in to your private group of friends. Private climbs never have more than 6 climbers per guide. Stand Up Paddleboarding (SUP) is one of the fastest growing watersports in the world, and Utah's lakes and reservoirs are great places to experience SUP! Our guides will take you to spectacular venues you might never have found. All individual climbs are guided, all equipment is provided, and no climbing experience is necessary. 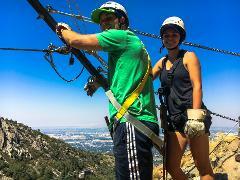 With one-on-one attention, via ferrata climbing skills improve quickly. Individual climbs never have more than 1 climber per guide. All group climbs are guided, all equipment is provided, and no climbing experience is necessary. You'll make new lifelong friends as you experience an unforgettable climb together. Group climbs never have more than 10 climbers per guide. 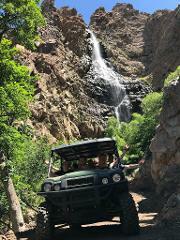 Start with an exhilarating hike or 2-mile All-Terrain-Vehicle ride up the mountain and deep into the private TR Guest Ranch. 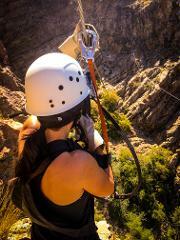 Then zip over and back for 4 zips across the face of Utah's most picturesque private waterfall. Explore Utah's breathtaking off-road backcountry in style and comfort aboard a spacious 6-passenger ATV. You'll discover abandoned silver mines, a remote 300' waterfall, and seldom-seen, awe-inspiring overlooks of the Great Salt Lake. Savor the ideal time of day for the perfect off-road adventure. 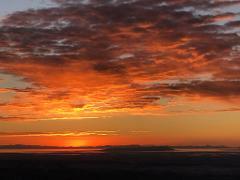 Enjoy the view as the western sun paints the sky and reflects off the Great Salt Lake.